Hundreds had already found a spot on the lawn of Grape Day Park more than an hour before the event started. 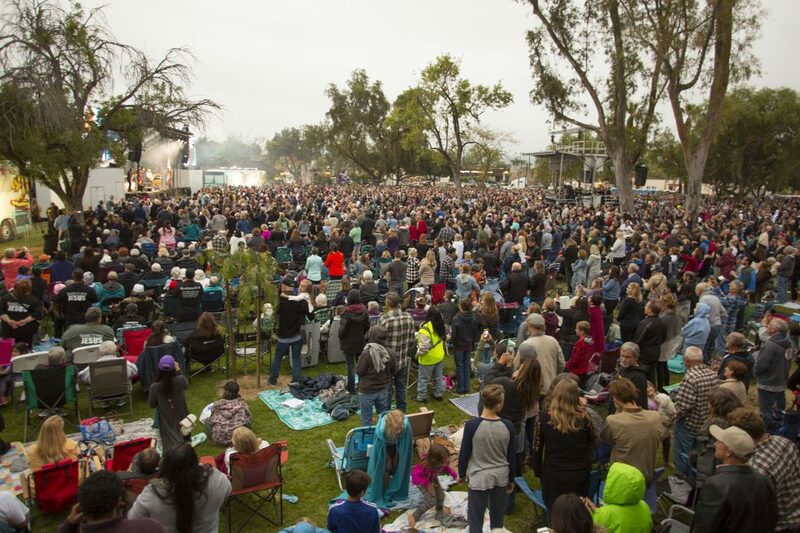 The Escondido crowd was an energetic one, and many said how excited they were to be a part of it. Escondido was the first of 10 stops on the Decision America California Tour. 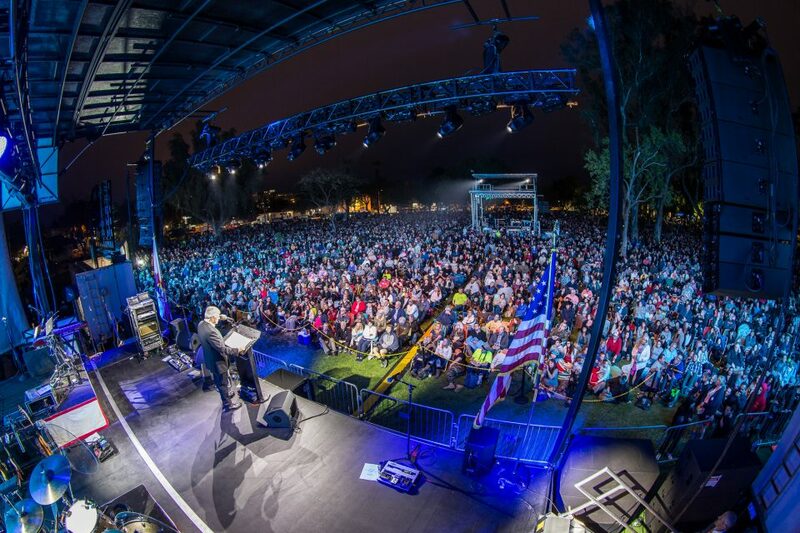 An estimated 9,400 people came out to pray and worship together. 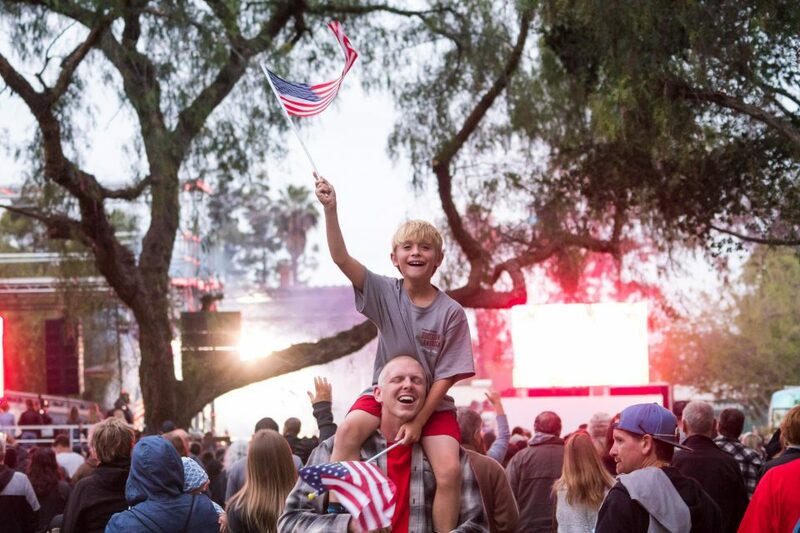 Franklin Graham will also stop in Pasadena, Oxnard, Bakersfield, Fresno, Modesto, Santa Clara, Berkeley, Chico and Redding. Get details on the remaining stops. 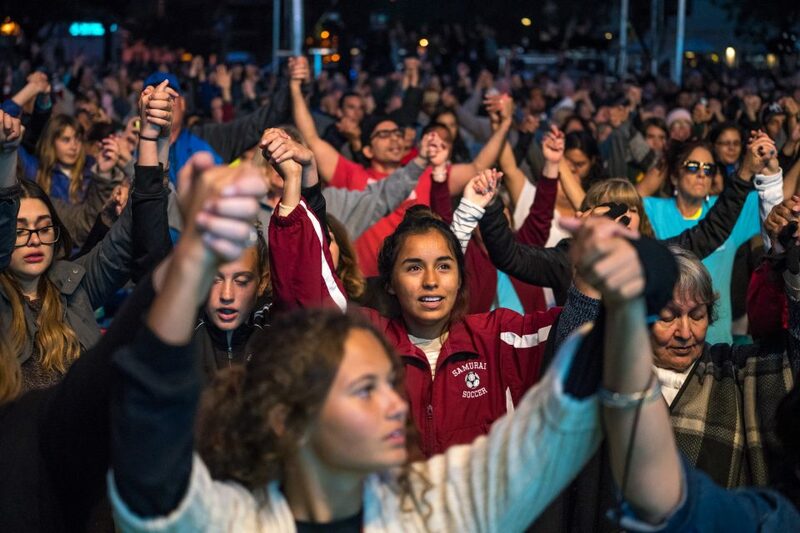 The Decision America California Tour is made up of one-day prayer and evangelism events meant to bring communities together in repentance and faith. 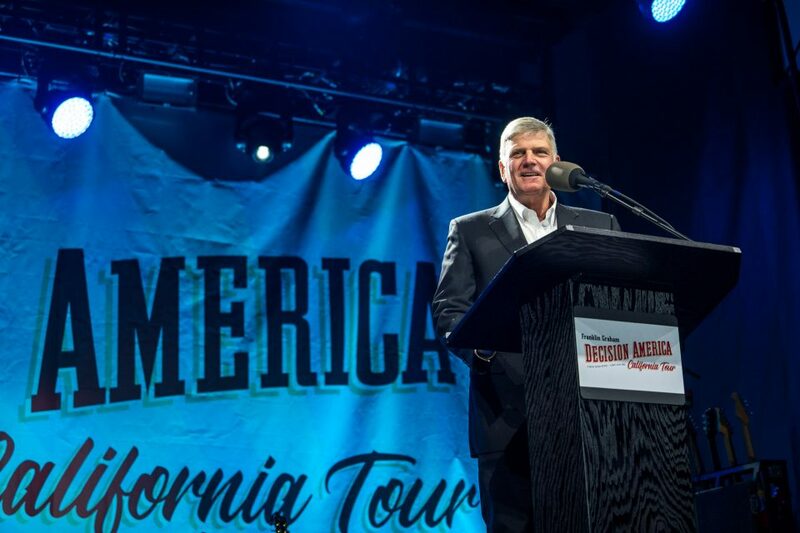 Franklin Graham heads to Oregon and Washington for the Pacific Northwest Tour this summer. 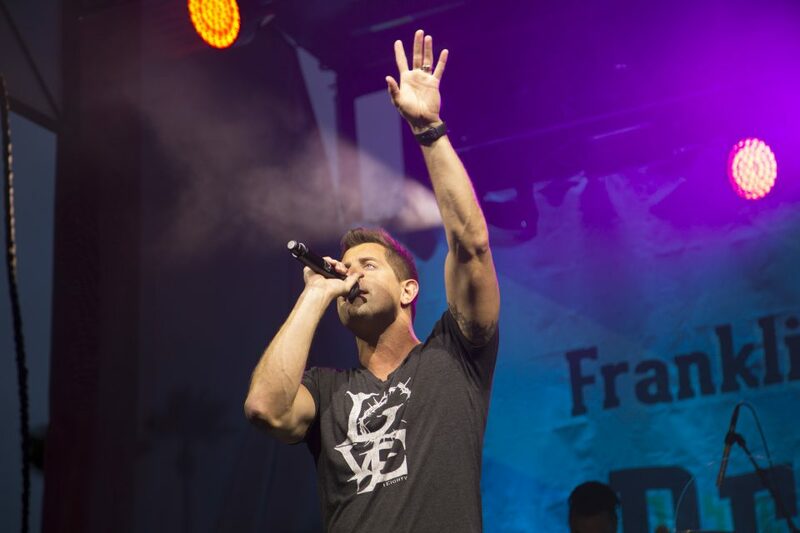 Jeremy Camp sang one of his most popular songs, “Overcome.” He told the crowd between verses: “This is the reason why the enemy is upset, because he knows he's been defeated. Jesus Christ went to the cross. There is victory and there is freedom because He died and rose again to give us new life." 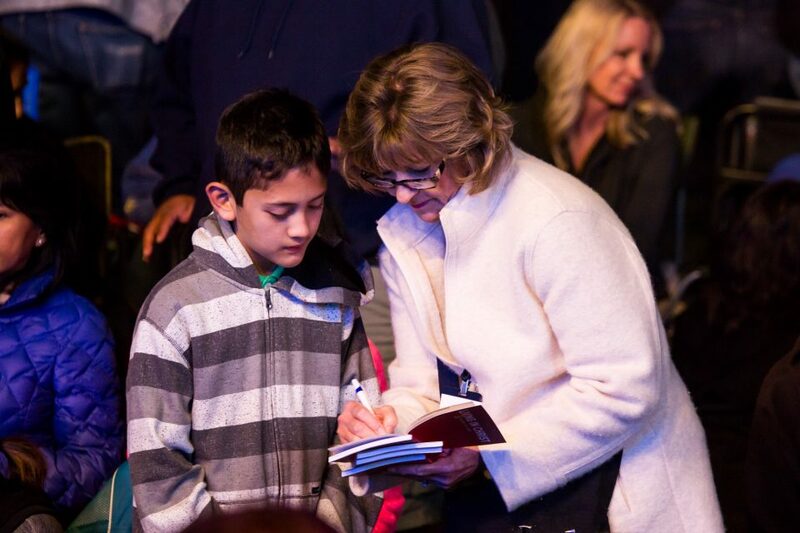 A prayer volunteer explains to one boy about Jesus' love for him. 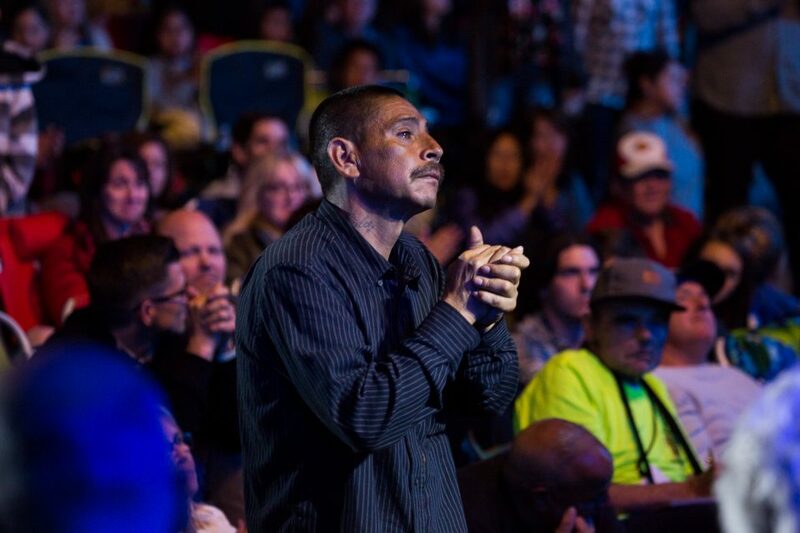 As Franklin ended his message, he asked anyone who wanted to invite Jesus into their lives to stand so volunteers could hand out small packets to help them grow in their faith. Here and there, people stood throughout the crowd as others applauded the decision they had just made. 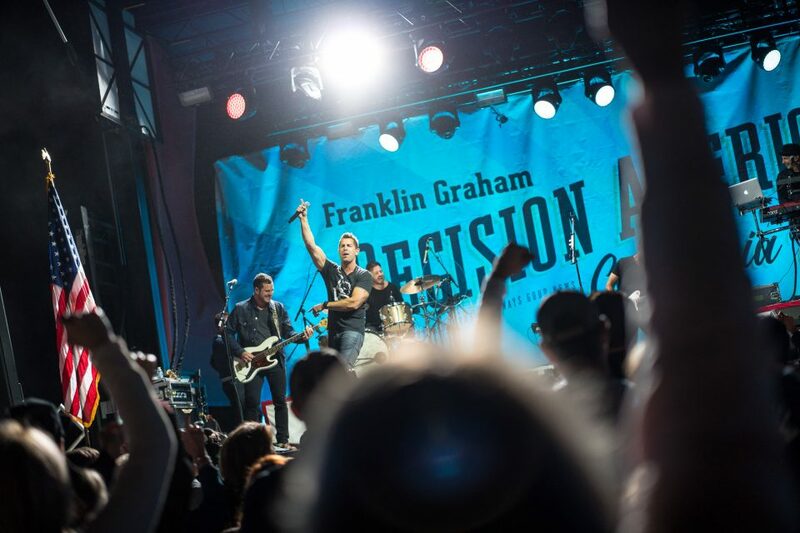 Jeremy Camp was part of the Decision America Tennessee Tour last spring and is returning for the California Tour. 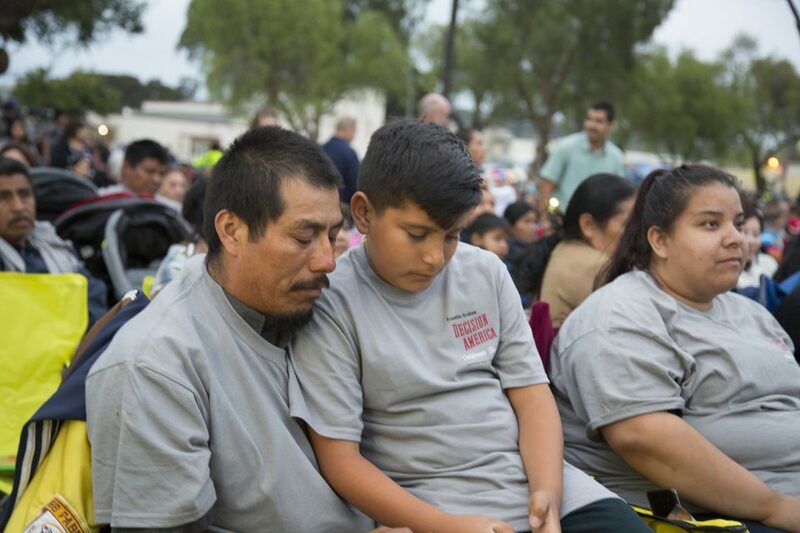 “We need unity in this nation like never before,” he said, encouraging Christians gathered in Grape Day Park to join hands as a sign of togetherness. The 10-city California Tour runs through June 5. Is it stopping anywhere near you? Find out. Jeremy Camp, who lost his first wife to cancer, has been through his fair share of trials. But "God restored and God redeemed and God healed,” he said. God can heal the brokenness in your life, too. Jesus can change the direction of your life, Franklin said. Will you let Him change yours? 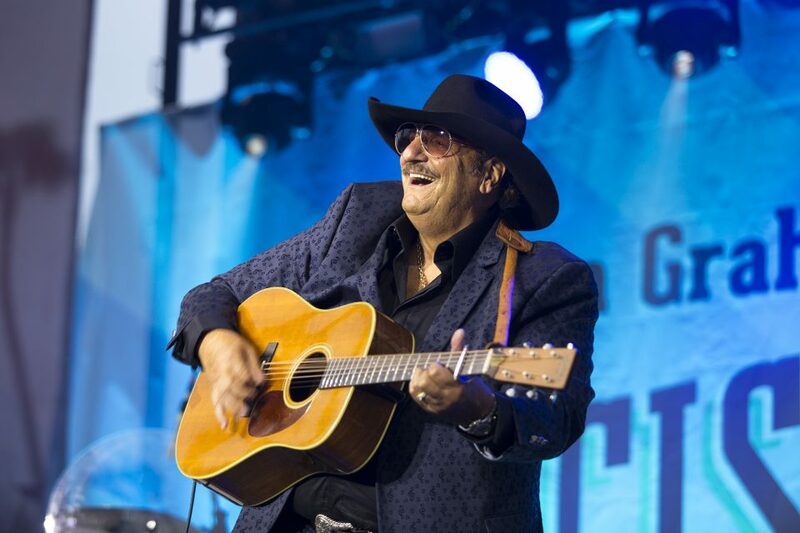 One of Franklin's closest friends, Dennis Agajanian, has performed at many BGEA events over the years. "It's good to be home!" he told the Escondido crowd on the first stop of the Decision America California Tour. Agajanian lives a short drive away in San Diego. 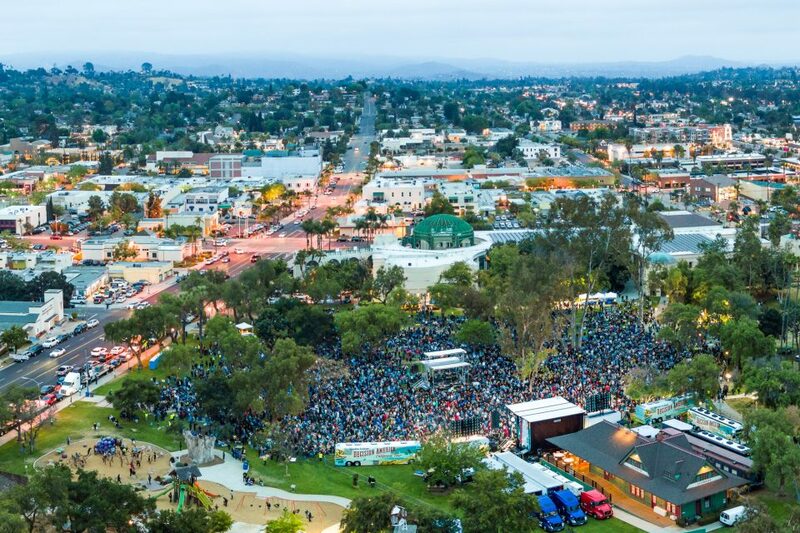 Hispanics make up about half of Escondido's population. 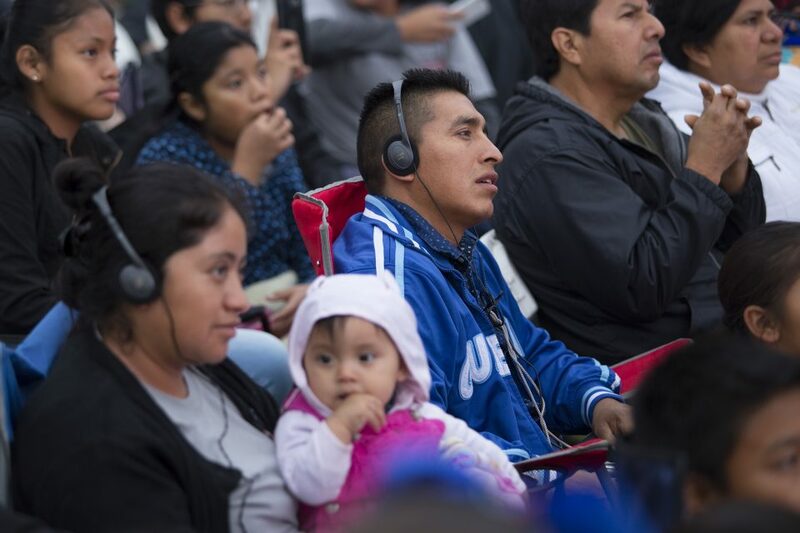 Many in the crowd listened to Franklin's message through headphones as it was interpreted into Spanish. 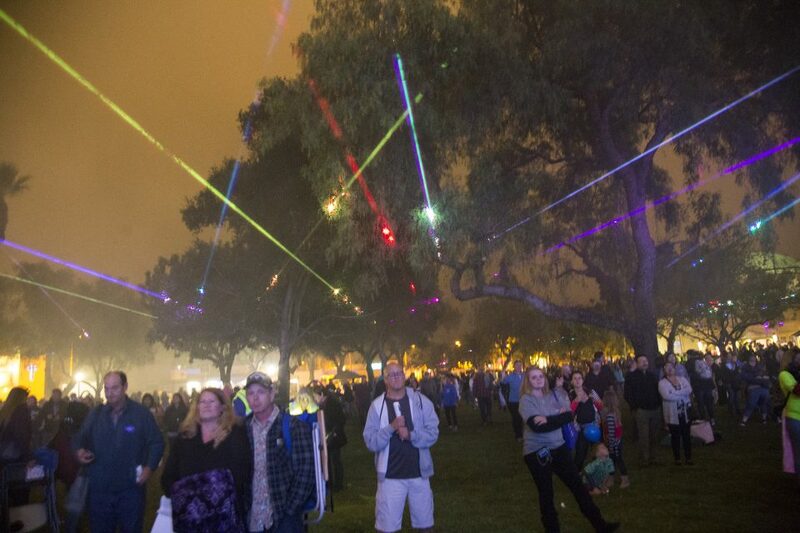 The night ended with a laser show in the park. Even if you’re not in California, you can play a big part in the tour by praying for the state. 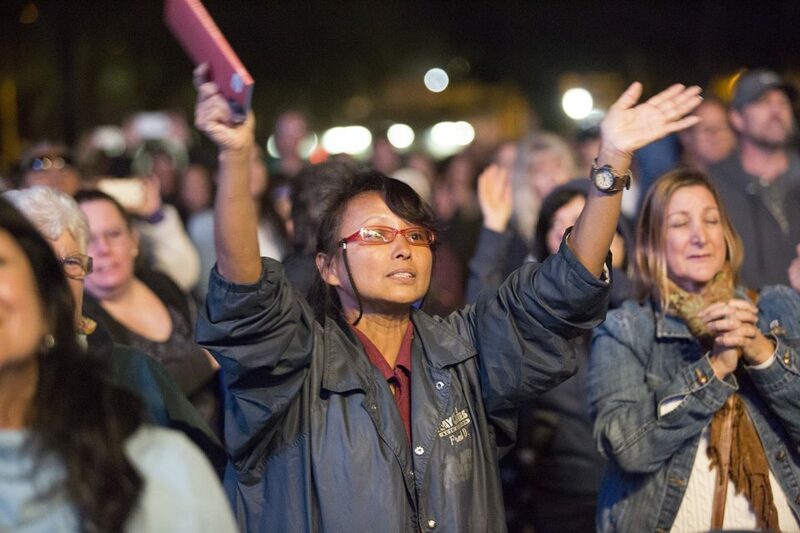 Here are specific ways you can pray for upcoming stops.